Did You Know Crackdown 3 Releases in Less Than a Month? Microsoft is starving for exclusive after the canceled Scalebound and the underwhelming reception of Sea of Thieves. Forza Horizon 4 was a good start that provided players with a fantastic racing game with lots of reasons to continue playing. Crackdown 3 is the Xbox One’s next big exclusive and is releasing in a few weeks but we have to ask, where is the promotional material? Crackdown 3 is releasing as part of Microsoft’s Xbox Game Pass, providing subscribers with access to all new exclusive releases on day one but it’s strange to see so little advertisements about the game. 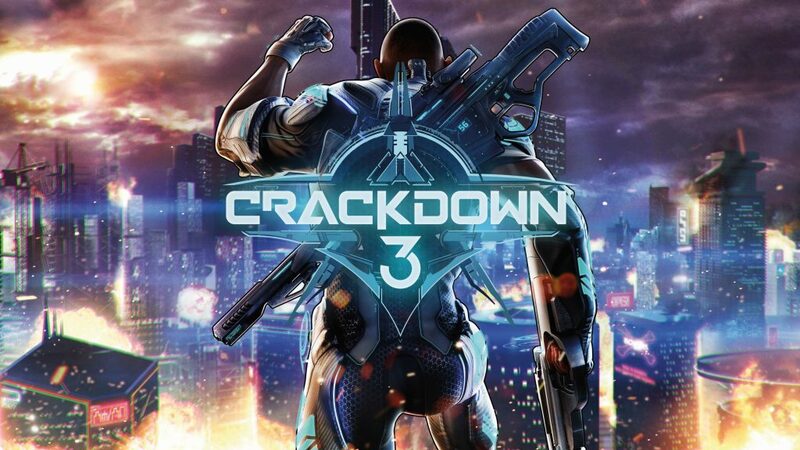 Crackdown 3 is releasing alongside Metro Exodus and Jump Force, both games that have had extensive reveals and videos showcasing the gameplay to keep fans alerted. Even God Eater 3, which is the lesser known of the games, had a demo provided. In addition, EA’s Anthem is releasing within a week of those titles and they’ve released extensive gameplay footage and a demo to generate notoriety for the game. Yet, in the flood of these major releases Crackdown 3 hasn’t been seen. If you compare the advertising campaign of Forza Horizon 4 and Sea of Thieves Crackdown 3 is getting a lot less marketing material. Sea of Thieves received extensive footage and even its own custom controller. Forza Horizon 4 was provided with lots of gameplay footage showcasing the weather system and live service model to keep gamers playing. The only major thing we’ve seen about Crackdown 3 is the gameplay footage before the project went dark. This could infer that Microsoft has little faith in the project. Considering the competition and the lackluster reception from the gameplay, which looks like a mediocre open-world game, Microsoft could be relying on Xbox Game Pass to push the title instead of actual sales. We could be wrong but considering that more gamers are talking about Anthem, Metro Exodus, and Jump Force and very little about such a majorly published title like Crackdown 3 could spell doom for the game. We’ve seen it happen to Dead Space 3 and Titanfall 2 and judging by the lack of awareness for Crackdown 3 this project could become another whimper in Microsoft’s exclusive library. What do you think, will Crackdown 3 succeed in such a flooded month of major releases? Let us know your opinion in the comments below! Props to everyone involved for pioneering cloud assisted computing in games and for successfully releasing this major project. Like Gakai that Sony bought in 2012 for cloud based computing in games before the start of this gen? Yeah, props. And this game is now a “major project”? When did that happen? Was it when the online destruction thing got condensed from an “entire city” to a city block or when they added the stunning cloud powered detail of debris disappearing after a few seconds like a PS2 game from 19 years ago? You disagree this game was a major project? It’s been continually worked on and passed between several different companies over the past 5 years. Its actually less than 2 weeks tomorrow. Why is nobody talking about the fact that the game has not gone gold yet? Metro Exodus, launching the same day, went gold over 6 weeks ago lol.